This special issue on digitality explores topics such as digital copyright, war and corporate television, and the aesthetics of Net.Art and includes an interview with Judith Butler on peace and philosophy. Contributors include Todd Cronan, Gordon Hull, Stuart J. Murray, Gerhard Richter, Julian Stallabrass, and Jill Stauffer. 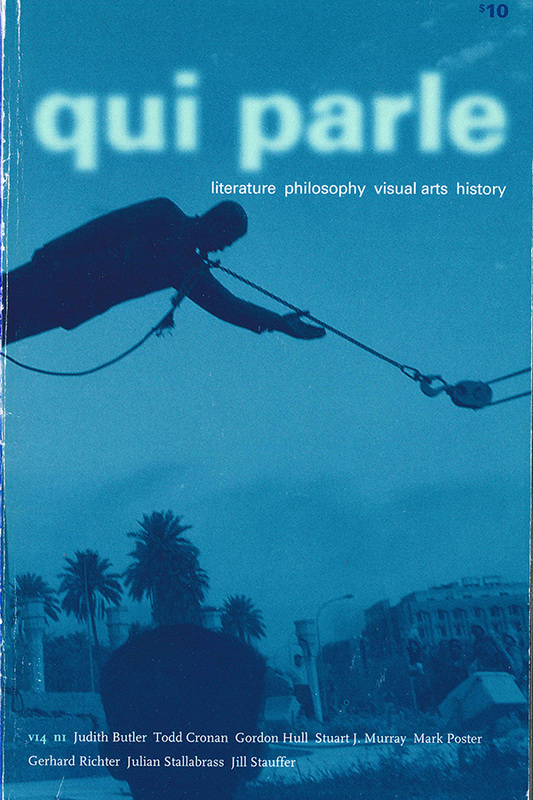 View the table of contents for Qui Parle 14:1, at the journal's online site.